MONROVIA – Flomo Theater has partnered with Civitas Maxima and the Global Justice and Research Project to bring Musu’s Diary to people all across Liberia. Originally a cartoon published within the Liberian Quest for Justice campaign, Musu’s Diary brings impartial information about trials of alleged war criminals happening abroad to Liberia, focusing on the story of a girl and her family who struggle to come to terms with the past. The performances will take place in Nimba, Lofa, Montserrado, Bong, and Gbarpolou in the upcoming month. “It’s about making the quest for justice accessible to those who are far from Monrovia” said Nathaly Leduc from Civitas Maxima, “we encourage all voices to be heard, and valued in peaceful discussions. Theater is a great tool to do this.” Musu is a young Liberian girl, who was separated from her mother because of the war and is determined to understand the issues surrounding impunity for war crimes in Liberia. She travels on a quest for justice and ultimately confronts the Boogeyman, a powerful mystical creature that survives on despair. To continue living, the Boogeyman needs to crush the hopes and dreams of all Liberians who long for justice. 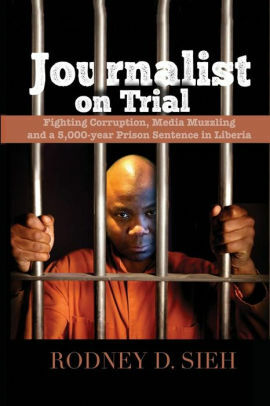 With the many arrests and trials of alleged Liberian war criminals abroad, hope starts to thrive in Liberia – but the Boogeyman will do everything he can to stop Musu and her brother, Varney, in their quest for justice. “Musu’s story is that of a lot of us Liberians,” said Angelique Meyers of Flomo Theater. “Yes, things are complicated and frustrating, but it does not stop her, she does not accept impunity, and neither should we,” added Alex Swaray, founder of Flomo Theater. As momentum for justice increases, more efforts to combine justice and theater have been undertaken by the organizations involved. Jingles, radio dramas, participatory theater, cartooning workshops, and mock-trials with university students have engaged all generations in the debate. 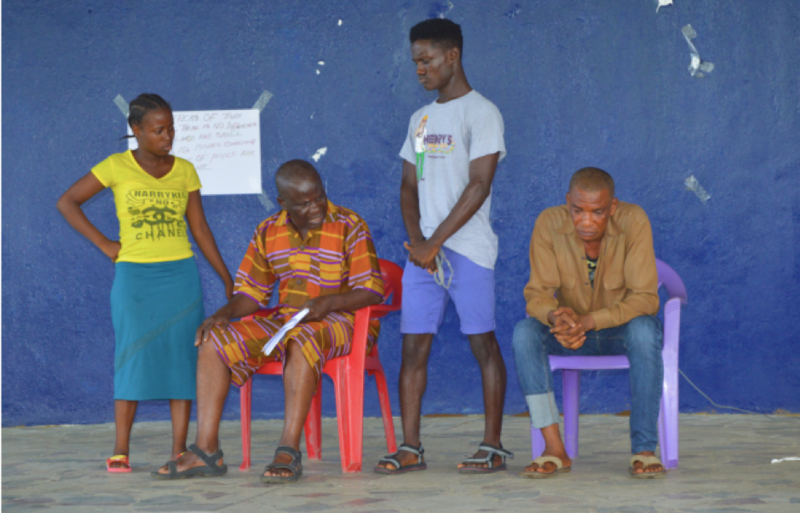 “This theater project – putting Musu’s Diary on stage – will bring understanding of our work to all Liberians, whether they are victims or perpetrators,” said Hassan Bility, Director of Global Justice and Research Project.